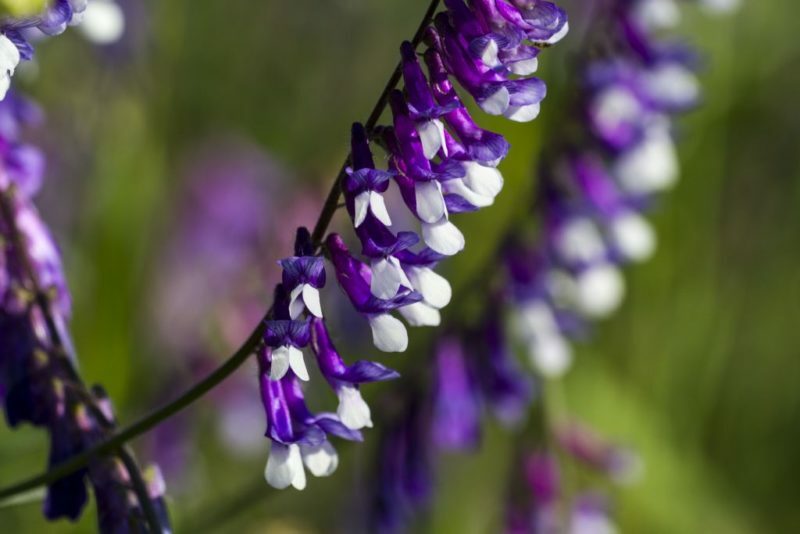 Cover crops are different from cash crops, which are those that a farmer sells for profit, such as corn or soybeans. Cover crops’ primary job is to improve the soil. They get planted in fields that would otherwise be bare—in between growing seasons, for example—to protect the soil from erosion and nutrient loss. Cover crops also help smother weeds, control pests and diseases, enhance water availability, and increase biodiversity on the farm. 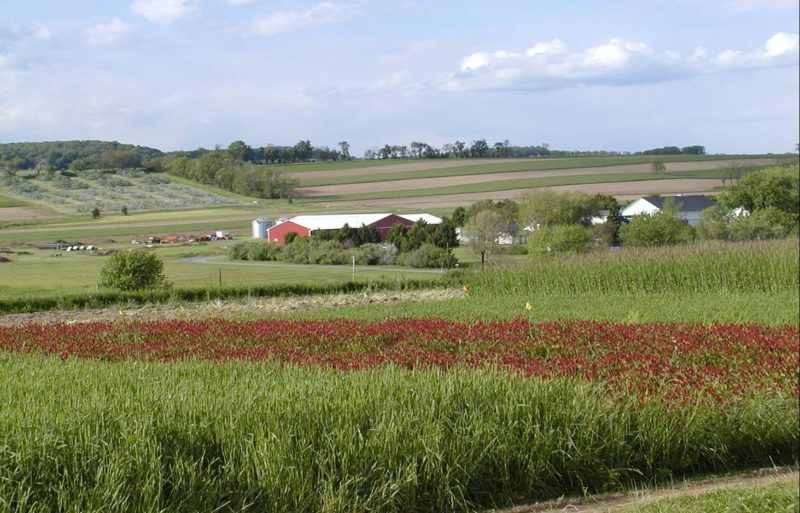 Think of cover crops as a living mulch. 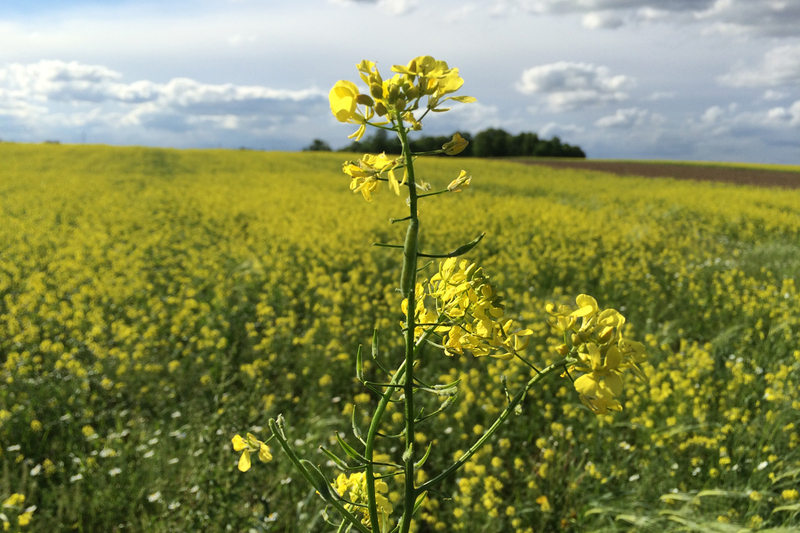 Examples of cover crops include mustard (pictured), alfalfa, rye, clovers, buckwheat, cowpeas, radish, vetch, Sudan grass, Austrian winter peas, and more. Every time a farmer grows her cash crop, the plants draw nutrients out of the soil. After the harvest, those nutrients need to be returned so that the next crop is equally bountiful. Certain cover crops have the unique ability to “fix” nutrients like nitrogen from the atmosphere and return them to the soil, making them an indispensable tool in maintaining and increasing soil fertility without chemical use. Cover crops are an integral part of organic no-till. They help return nutrients to the soil and, when rolled by the roller crimper, create a weed-suppressing mulch. 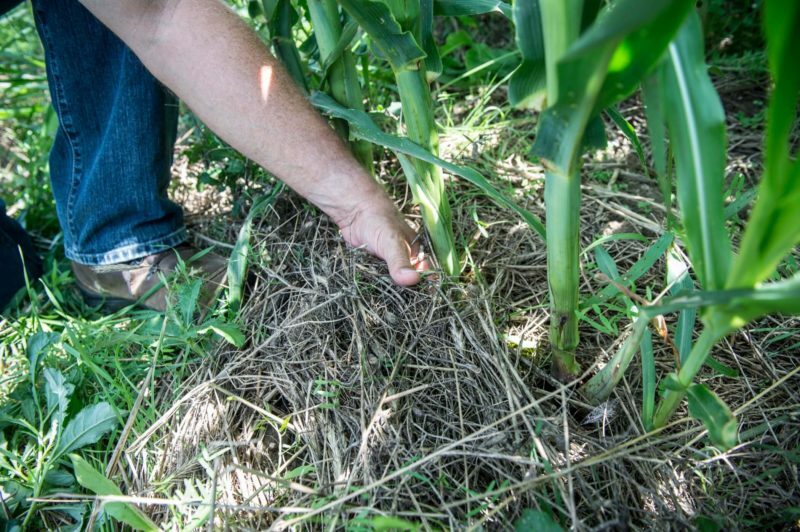 Many cover crops do double duty—they can be planted either for profit or fertility and weed control depending on the farmer’s intent. Examples include Austrian winter peas, alfalfa, rye, mustard, oats, and buckwheat, among others. Cover crops also keep something green and growing year round, helping farmers sequester more carbon to fight greenhouse gas emissions. Conventional farmers rely on synthetic fertilizers and chemical herbicides to return nutrients to their soils and fight weeds. Those methods have a host of unintended consequences, including water pollution, soil erosion, and loss of essential biodiversity, among others. Since synthetic inputs aren’t allowed in organic agriculture, organic farmers rely on other methods, including cover cropping, to achieve the same results. Industrial hemp, once banned from production in America, is an exciting new potential cash and cover crop.